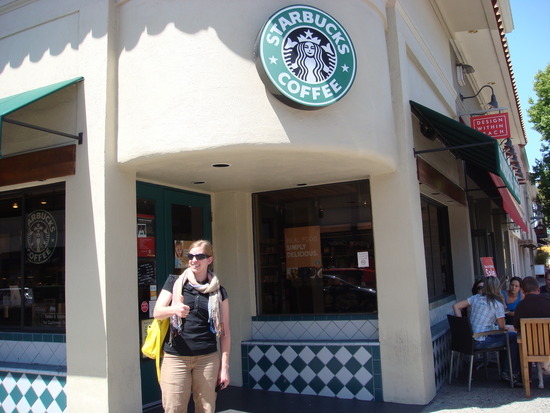 In truth, this was not a very good Starbucks. It took a really, really long time to get my beverage and wasn’t clean. However, I have to appreciate the truly charming atmosphere of Burlingame Avenue and gaggles of hip California college students studying inside. Plus, I desperately needed to pee. This photo is a bittersweet moment after having lunch with my Aunt Barbara, who I hadn’t seen in about 15 years, and before traveling to the airport for the return flight to Chicago. Way to deliver on the ‘Bucks, California. Haha, what a great/silly idea for a blog! nice!